We really appreciate your ministry. May God bless you in all you endeavors. You are truly making a difference for the kingdom. This is a great tool to teach that the United States of America was founded on Judeo-Christian principles. It further illuminates the truth that our Constitution and Bill of Rights will not work, or even survive, if our leaders and most of our citizens stray from those fundamental principles. 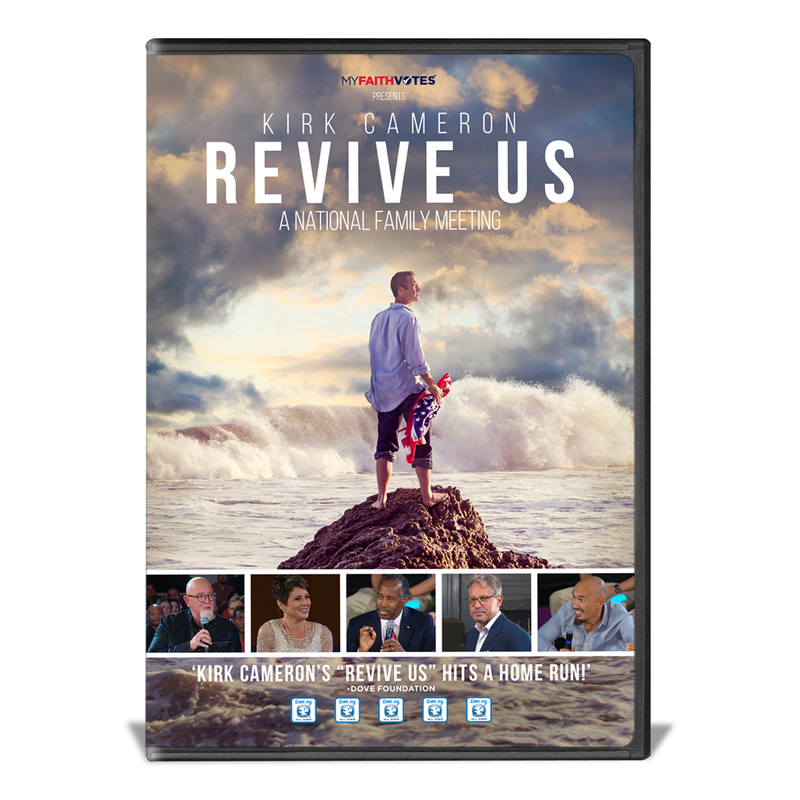 Although I would be preaching to the choir, I would like to use "Revive Us" for a Sunday School teaching at my church. Good job, Kirk! The day I received this in the mail I watched it. This was a really good "movie". I am starting to get back into my faith again and this really helped me feel the belief. I was so glad I jumped in and bought this. Thank you for allowing this message to happen. We saw this at the theatre, it is awesome!